This open letter is from scientists and leaders in the addiction research community. If you’d like to join the signatories listed below, please do in comments at the bottom of this article. Please also share with others with an interest in research on addiction. Smoking – and nicotine addiction – are sometimes easy targets for criticism by many people. For others, addiction is a mental health issue of deep concern, affecting one in seven Americans during their lifetime, often resulting in immeasurable suffering and even death. There are many reasons that addiction can be an easy target and perennial candidate for ridicule. One is that some believe addiction is “simply a matter of weak willpower,” evidence of a “moral failing,” or some other character flaw. In this, we see parallels to medieval beliefs that schizophrenia, bipolar disorder, and depression were due to witchcraft, demonic possession, wandering uteruses, and weak moral character. Through decades of scientific study of the brain, behavior, genetics, and physiology, we now know that addiction is a complex disorder affected by neural function, genes, and the environment. We also know – at a specific level – about the brain chemistry and circuits that increase the risk for and play a role in addiction—including smoking. Unfortunately, there is still a lot we do not know, including questions such as: Why are some individuals vulnerable to addiction and others not? Why does relapse after any kind of treatment occur at such phenomenally high rates? Why do drug abusers persist in seeking and taking substances that so clearly will lead to incarceration, poverty, even death? It is these gaps in knowledge – along with empathy for those suffering because of addiction—that lead the nation’s health research agencies to actively support addiction research. Yet, there are others who seek to end this lifesaving research. For example, a months-long campaign by the anti-animal research advocacy group White Coat Waste Project targeting nicotine addiction research recently got a boost from Jane Goodall, the celebrity primatologist known for research on chimpanzee behavior. This marks yet another high profile pairing of Goodall and groups fundamentally opposed to all nonhuman animal research. Here, Goodall wrote to the head of the US Food and Drug Administration (FDA) about research on nicotine addiction in monkeys conducted at the FDA’s National Center for Toxicological Research (NCTR). What Goodall claims is that the research is a misuse of taxpayer’s money because of her belief that ‘the results of smoking are well-known in humans’, and that the same research can be done in humans. Both statements are shocking, no less so because they come from a prominent scientist whose very profession is based on reporting facts. Even a cursory glance at the state of tobacco use in the US gives some clues as to why statements like this are irresponsible: According to the National Institute on Drug Abuse (NIDA), tobacco use kills approximately 440,000 Americans each year. Given the White Coat Waste Project’s interest in saving the taxpayer’s money, the estimated economic impact of tobacco use, including everything from healthcare costs to cigarette-related fires, is almost $200 billion per year (see NIDA Research Report Series online, 2012). So, clearly nicotine addiction remains a significant public health problem and it is quite evident that we do not understand this disorder well enough to eradicate it—current treatments basically have just slowed it down. There is much work to do. There is another blatant inaccuracy in Goodall’s letter to the FDA, namely, the very idea that this is a fraudulent waste of taxpayer’s money. 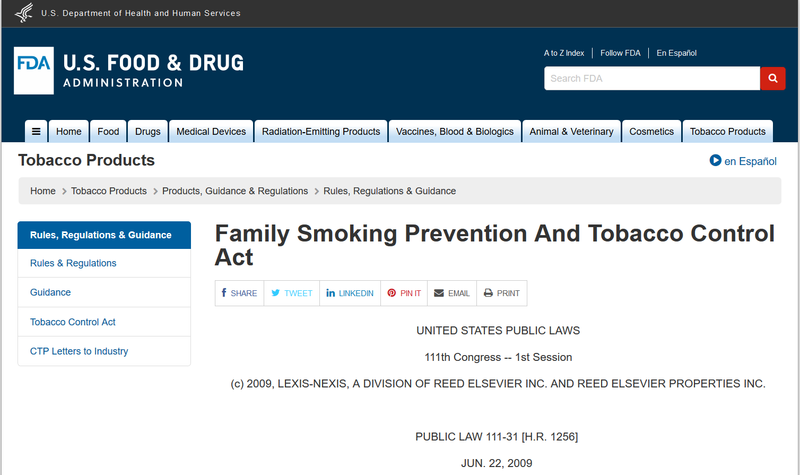 In fact, the funding source for NCTR nicotine research is the Center for Tobacco Products (CTP), which was established to oversee implementation of the Family Smoking Prevention and Tobacco Control Act of 2009. What is important here is that CTP funding comes from “tobacco user fees” charged to manufacturers of tobacco products. In other words, no taxpayer’s money is funding this research. How can the public trust any claim by Goodall and White Coat Waste if even this basic fact was ignored? What is lost in the simple formulation that Goodall uses is the fact that research with humans cannot answer fundamentally important questions that are basic to progress in understanding, preventing, and treating addiction. Species other than humans take drugs. The fact that monkeys and rodents “self-administer” drugs in a manner similar to humans provides scientists with an extremely valuable model of drug addiction. The discovery of the “reward center” in the brain, the role of the chemical dopamine, even the basic principles of many behavioral therapies for addiction—all of these basic findings come from studies with monkeys and/or rodents self-administering drugs. In fact, the discovery that nicotine is the primary ingredient of tobacco products that contributes to their addictive properties, as well as the designation of nicotine as a drug of abuse, relied on self-administration studies. And yet, we are just at the beginning of understanding addiction as a brain disorder (rather than a simple moral failure or a series of bad decisions). and study its effects in a highly controlled environment. This approach allows the researchers to draw much firmer conclusions about effects on brain function than could ever be obtained in people smoking cigarettes. To treat nicotine addiction, we have to know precisely what nicotine does to the brain, and we need to do this in a systematic, carefully controlled manner. We also need to know, however, what all the other chemicals are doing in order to understand the “real life” situation. Studying nicotine alone provides a platform for going about doing those types of studies, eventually recreating the real life experiences of the tobacco abuser. Research in laboratories with animals is conducted humanely, ethically, and under careful oversight guided by federal and state laws, regulations, guidelines, and by institutional policy. Importantly, it is unclear what evidence Goodall and White Coat Waste have for any serious violations of regulations at the FDA facility. It may be the case that Jane Goodall and White Coat Waste are opposed to animal research that is conducted in order to benefit human health. That is a different argument, however, than saying that addiction research is unnecessary, that human studies are all that is needed, or that the animals are abused. We in the scientific community wholeheartedly support ethical, humanely-conducted research on addiction to nicotine and other drugs of abuse, which is in the public’s interest. At the same time, we condemn this irresponsible and factually-challenged assault on research at the NCTR. We, the undersigned, support the careful, considered and regulated use of primates in addiction research. While respecting Dr. Jane Goodall as an eminent primatologist—known for her knowledge of chimpanzee behavior in the wild—we do not believe she has the necessary expertise to intervene into the scientific questions of addiction research and neuroscience. Addiction is a major public health issue worldwide, and requires and deserves close scientific scrutiny, some of which will require the use of animals. Posted on September 22, 2017 September 22, 2017 by EditorPosted in Animal Rights News, Guest Post, News, Science NewsTagged addiction, Addiction research, animal research, FDA, Jane Goodall, National Center for Toxicological Research, nicotine, nonhuman primate, primate, smoking, tobacco, white coat waste. Next Next post: Research Roundup: Mouse model of bipolar disorder shows promise, fighting cancer with Polio and more! Just wondering if ANY of you supposed learned people can explain something really simple to me. First, as of right now, the lab has been shut down. Second, I read that Jack Henningfield, among others (obviously) objected to this closure. Someone, please, please explain to me how someone who graduated from college in 1974 and has spent the vast majority of their professional life studying nicotine and other harmful drug affects on primates need more time? It is 2018 people! That is 43 years of research. Adding my name in support of this letter. James J. Mahoney, III, Ph.D.
I’m adding my name in support of this letter. I support this letter, which provides the facts. Adding my name in support. Agree that “Importantly, it is unclear what evidence Goodall and White Coat Waste have for any serious violations of regulations at the FDA facility.” If there are violations, they should be investigated, but animal research can and does save lives. I fully support the contents of this letter. Primate research is essential for understanding and developing treatments for many human diseases, including those that involve the nervous system, infection and the immune system, as well as reproductive and developmental processes. I strongly agree with Clive Bates on this. Whilst the direct effects of nicotine on the brain might be studied (and they’re already pretty well known) there is no correlation between the behaviours of primates and the behaviours of humans with respect to tobacco (reduced nicotine or not), nor any other addictive substance. They simply cannot make the moral, social or commercial choices a human might (mail order, grey import, black market, duty free abuses etc) in order to gain access to a product, nor do they experience the political, social and moralistic pressures brought to bear on users of such products. This is unjustifiable torture of another living creature. I support and agree with the content of this letter. I absolutely support this letter. I strongly support this letter. I am adding my name in support of this letter. Adding my name to support this letter. I am surprised so many have signed onto this letter. Whatever you think of Goodall’s intervention, the more pressing concern is that these experiments serve no useful scientific purpose whatsoever. For what possible human behaviour does this primate research serve as a useful proxy? Certainly not smoking or vaping. Certainly not the response to ‘reduced nicotine cigarettes’ unless the monkeys could access a black market, buy from the internet, switch to hand-rolling tobacco or take up vaping. There needs to be a strong scientific justification for harming primates… what is it? The justification is to keep the old gravy train rolling. With regard to smoking dependence or ‘nicotine dependence’ it has no relevancy at all, in 2017. With regard to maintaining salaries, it is everything. You got it completely wrong: the research is not human behavior, which clearly would have to be done in humans. The research is not even on behavior. It is on the brain mechanisms that drive addiction. These research has been very successful, for example, in drawing the difference between craving, euphoria and withdrawal. It shows that while at the beginning drug consumption is driven by euphoria, later on craving takes its place while the pleasurable effects of the drug go down. As for withdrawal, understanding it is key to get the addict safely off the drug. All these is being investigated at the level of brain physiology, cell mechanisms and molecular pathways, not so much behavior. R. Adron Harris, Ph.D. Waggoner Center for Alcohol and Addiction Research, University of Texas at Austin. Medical Head, Addiction Medicine Service and Medical Withdrawal Service, Acute Care Program, CAMH. Professor, Departments of Family and Community Medicine, Pharmacology, Psychiatry and Institute of Medical Sciences; University of Toronto. I add my name in support of the letter. Adding my full support to this letter. Research with non-humans animals is critical for understanding how the brain works and how behavior alters brain function. It would be unethical to deny humans who suffer from addictive or other disorders the benefits of knowledge gained from controlled studies in non-humans. I fully support this letter. Please add my name as well. Patricia M. Di Lorenzo, Ph.D. Excuse me? Tobacco user fees are surely borne by the taxpaying consumer and not the industry since the industry, in response to such fiscal assaults, inevitably raises the price of its products to cover it. For one, the Master Settlement Agreement is a testament to that. And it is not the only example. Trying to say that the tobacco user fee only comes out of the industry’s pockets is like trying to convince us that raising tobacco taxes only hurts the industry when it’s part of the anti-smoker manual that to raise tobacco taxes is to affect the consumer (and not the industry) by forcing reduction or elimination of purchase. Well all tobacco companies’ money comes from the consumer (that’s their only source of income), so in that sense all costs (including costs of production, advertising, etc) are borne, ultimately, by the tax payer. But in terms of where the money is coming from – who is literally paying it – it is industry, not consumers. It is wrong for Goodall to imply the taxpayer is paying for this research, the industry is – the fact that they ultimately get their money from consumers is neither here no there. It appears you conflate income with tax. The company sells a product and receives a profit for it and the expense (i.e. “production, advertising, etc.”) that comes with it. But government comes along and adds additional punitive taxes and “fees” (just another word for tax) beyond the traditional sales tax. It’s disingenuous to lump profit and tax together. The subject is the “tobacco user fee” that only makes the industry the middleman between the government and its hands in the taxpayer’s pocket. It is the consumer that is paying for that cost that wouldn’t exist but for the government imposing it. It’s not just a company doing normal business. In fact, I’ll put my neck out and even call it money laundering by the govt. The money gets “clean” as it’s strained through the industry is what I’m hearing. So what? It is not all taxpayers who pay for it, just the people who smoke. And those same people are precisely the ones who benefit for research on the diseases they will eventually get because they smoke. It seems fair and square to me. First of all, your “so what?” ignores one of this paper’s primary rebukes of Goodall’s assertions. The authors spend a whole section on “Outright wrong: the FDA nicotine research Goodall targets is not taxpayer funded.” Ergo you’ve just disproved (at least in part) this paper’s accusation against Goodall. Second of all, your reduction of taxpaying smokers to a “they don’t count” status when it comes to caring how taxpayer money is used is contemptible. It implies that adults who choose to smoke are beneath human respect. Which speaks volumes about this engrossment with nicotine research. Like your statement, it’s malevolent in nature, not benevolent. It seeks to control that which it cannot abide. It refuses to concede or allow to even contemplate that smoking is simply enjoyable for the act itself and not the nicotine just like people will still drink coffee minus the “addictive” caffeine because it’s what else the coffee offers that they want. I add my name in support of the contents of this letter. I add my name in support. Karen G. Anderson, Ph.D., Associate Professor, Behavioral Pharmacology, West Virginia University. Thank you, James and colleagues, for this important and well thought-out response. I agree wholeheartedly. I am all for science and research into making more effective treatments for addiction. I also stand with the idea that animal research contributes to strides in such research. However, I disagree with the mindset that addiction is a “disease” in the sense of taking away aspects of personal responsibility not found in other “diseases” and glossing over the pain addiction causes to others in society. There is plenty of evidence as to the biochemical processes of addiction in the brain, and that there are plenty of chemical changes, so once one becomes addicted, one cannot physically just have the “willpower” to stop without help. I don’t deny this as a major factor in addiction and believe it’s solely poor will power or “miasmas” and the like, but what sets addiction apart for other ailments is that one has to start it by making a poor choice such as drinking or drugs. People with heart disease didn’t bring it on themselves, although one could argue that choices in diet / exercise can play a role, it is a less direct role with more variables to consider. If someone decides to take a drug and gets addicted, that choice is much more connected to the outcome of addiction. 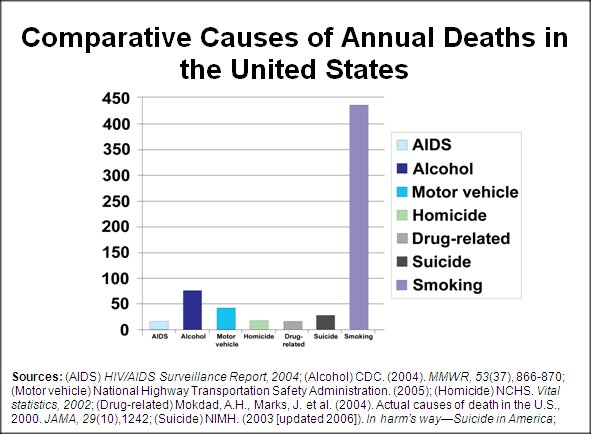 Addiction is easily preventable: don’t drink and take drugs. People who choose to use such things should be responsible for the negative consequences without being portrayed as “victims”. Science cannot make a moral judgement on addiction as it cannot make moral judgement on anything. Science can tell us the biochemistry of addiction, and give us conclusions such as addiction having a chemical basis in the brain. However, we can make our own judgments surrounding the conclusions we get from science even if a scientific investigation can’t quantify morality. The conclusions made from research into the biochemistry of addiction can give us better treatment models, but they still do not diminish the personal responsibility involved in addiction. As a society, we should look at addiction with a more critical eye than it being compared to diseases in which one has little to no control over. Addicts are not passive “victims” of circumstances out of their control. They chose to make bad choices that affect society as a whole, by taking drugs or misusing alcohol. Scientifically, one may argue that the chemical changes in the brain make it “diseased”, but using the same “disease” model to view addiction the same way we view other diseases takes away that key aspect of personal responsibility that sets addiction apart. As they say, prevention is the best cure, and addiction one can argue, is 100% preventable by simply making a choice not to misuse whatever made them addicted in the first place. More research into rehabilitating addicts is great, but a more relaxed view of their accountability as to why they’re addicts in the first place isn’t. Thank you for making a nuanced argument. Yes, there are people that decide to take drugs and get addicted as a consequence. However, there are other routes to addiction. For example, the main cause of the current opiate epidemic is chronic pain. Doctors started giving chronic pain patients Oxycontin, a new opiate that was marketed as non-addictive. Oxycontin then produced opioid-induced hyperalgesia (OIH): it decreased pain in the short term but increased it long-term. OIH has been know to basic scientists for decades, but the MDs are just not listening. Faced with increased chronic pain, the patient asks the doctor for more Oxycontin. At some point the doctor becomes concerned with the patient getting addicted and stops writing the prescription. Desperate, the patient turns to the black market, only to realize that heroin is cheaper than Oxycontin. He starts taking heroin and becomes addicted. One day he buys heroin that contains fentanyl, a hugely potent opiate, overdoses and dies. Many people are following that path. 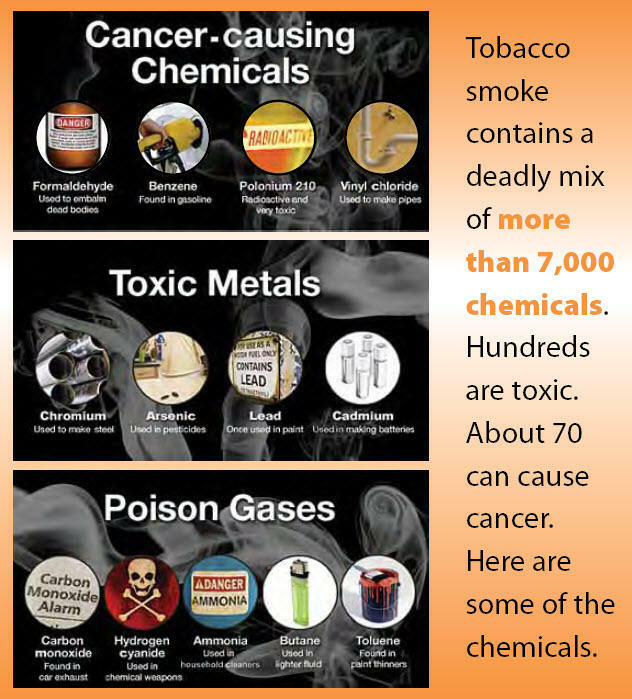 When it comes to nicotine, the story is quite different. Cigarettes have been marketed for centuries and became part of the culture. People become addicted to nicotine as teenagers and then find it extremely hard to get off. Addiction also has a strong genetic component. Some people become addicted to anything (even gaming and religion) while others are very resilient to addiction. We know all this largely because of basic research using animals. Thanks for bringing that up. I understand that can happen, and probably those I believe are the most deserving of the benefits of such research. However, I still feel many misuse the “disease” model to try to decrease stigma, but it only creates a lack of accountability. I know this debate is quite heated in light of addiction touching many people personally, but it is refreshing to debate it on a more intellectual, than personal level, as much of this debate on social media is quite heated! I hope my comment (and yours!) gets people to think more about the implications of our new “disease” based model on society. Stigma never cured or stopped anything. All it does is turn the oh-so-well-meaning stigmatizers into The Enemy. .